If you’re like many social marketers or customer care professionals, you know that customers expect one seamless experience with your brand. Customers want to converse with you on a platform of their choosing and expect you to be able to follow the conversation no matter how many times it changes hands within your organization. How do you evaluate social customer engagement technology? 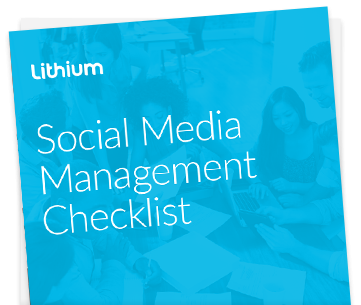 Leading social media management teams look for key set of capabilities when evaluating new social technologies. We’ve put together a checklist to help guide you in this process. Download this checklist today and use it to help you determine the functionality you need in your technology solution.